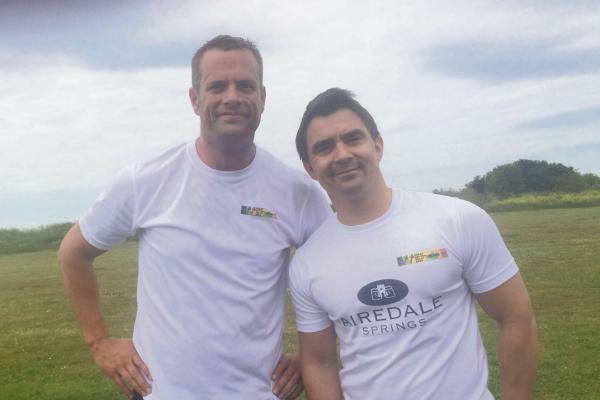 Airedale Springs Production Director, Steven Hart (pictured right with his cousin Paul Raynard) took part in this year’s 7,000 kilometre-long Great British Relay. The event was possible due to hundreds of local runners taking turns to carry a baton all the way around the coast of Great Britain. On the 13th July Steve completed his 13 kilometre section between the Esplanade Fleetwood and the Queens Promenade, Blackpool. Well done guys – great effort!